Taylor has lived in the Bryan/College Station for most of her life. She is currently working towards her Nursing degree at Blinn College. 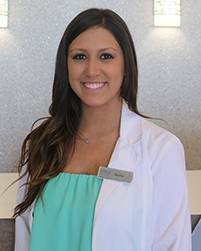 Taylor’s duties include scheduling appointments, verifying insurance, maintaining customer service through proper telephone etiquette, greeting and checking out patients and testing patients vision through preliminary examinations.